From our point of view, notebooks designed for educational purposes need to meet very specific requirements. These include things such as a certain degree of mobility, an ergonomic design and solid input devices. It is unusual for these qualities to be adequately addressed by a pamphlet at a store or a manufacturer's website. To assist you in the decision-making process, we have looked back over our huge data collection compiled from the many notebooks we have reviewed, and we will make recommendations split into three different price ranges. 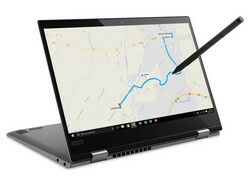 The display should have an ergonomic, matte surface, and the notebook's performance should be on par with at least that of an Intel Core i3 platform - otherwise it may not have enough stamina to remain useful over the coming years. In terms of hardware, these devices are generally equipped with Intel Pentium/Celeron or AMD processors and therefore fall more into the netbook category. As a result of Microsoft's subsidization, there is a hole in the 300 to 400-USD/Euro price range. We will devote a separate article to this new class in this aggressive price range. 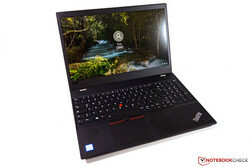 Lists all-rounders and high-quality entry-level business notebooks between 500 and 800 USD/Euros. 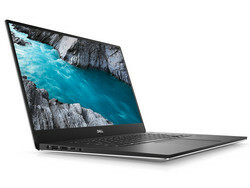 Some of these notebooks also have CPUs and GPUs with more processing power, which means that the computers can handle more-demanding applications - such as PC games. Is comprised of more expensive devices that set themselves apart from the masses with features such as particularly high-quality materials and very good displays. Lists alternatives under 13-inches. We also include less powerful platforms such as Intel's Celeron. So affordable and already a high-quality convertible! 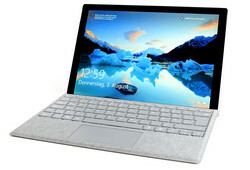 The Microsoft Surface Go already starts for less than 500 Euros, but this version is shipped without physical keyboard. You can either use a Bluetooth keyboard or the optional Type Cover, which will increase the price noticeably. The storage is also limited on the base model at just 64 GB, and Microsoft charges a hefty premium for the 128 GB option. You can at least use the microSD reader to store more data. The quality of the magnesium case is excellent, the Surface lasts long on battery, and you get a bright as well as high-contrast screen. The performance is not that bad, either. You notice that the Surface Go is no real notebook when you look at the ports, because one USB-C port will have to suffice. Lenovo offers a tough competitor for the Microsoft Surface Go: The IdeaPad D330 follows the same concept as Microsoft's smallest tablet, very long battery runtimes, an LTE modem, a bright screen, and a good keyboard dock. 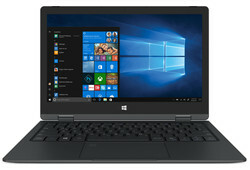 You also get 128 GB storage, but the IdeaPad with the keyboard dock is also much heavier and the quality is not as high compared to the rival from the Windows developer. 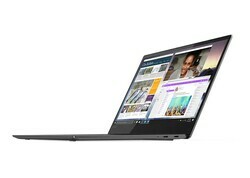 The Lenovo IdeaPad D330 is a 2-in-1 with a good price-performance ratio. 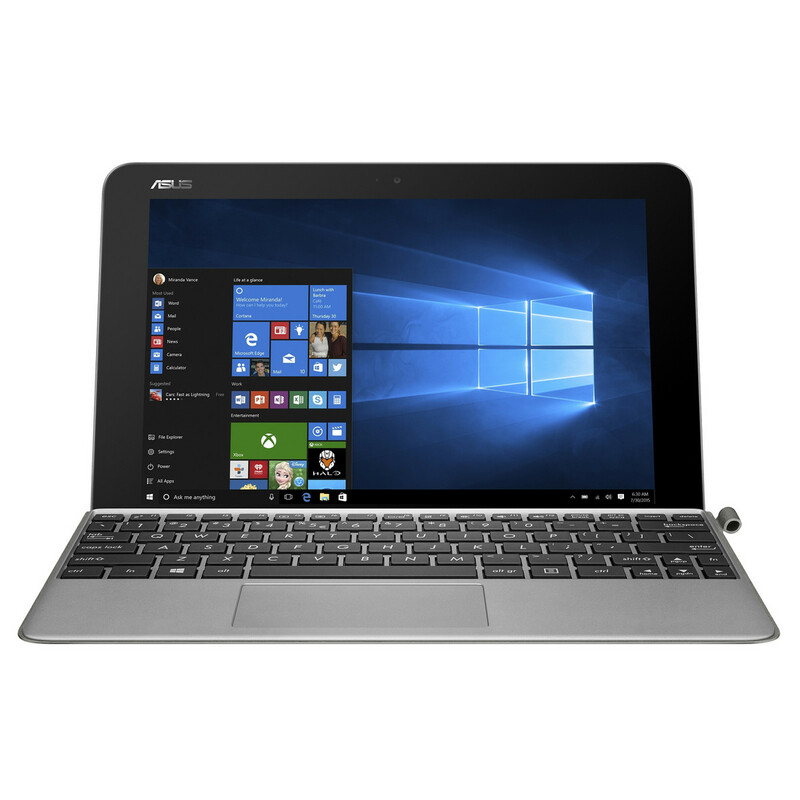 The Asus Transformer Book T102HA is a 10-inch convertible equipped with an Intel Atom processor. It features a particularly bright IPS display and decent battery life. Its system performance is adequate for everyday workloads in school and college. Keyboard and touchpad are comparatively small, and the display resolution is just 1280x800. That said it should suffice if constantly watching movies is not on the agenda. 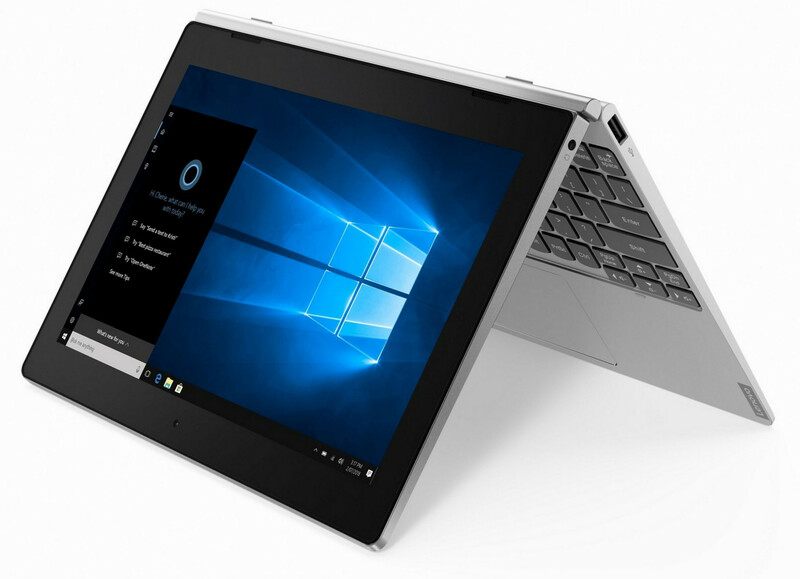 Moderate users will find an affordable yet decent companion in the Transformer Book T102HA. The Chuwi LapBook SE is already the second notebook from the manufacturer, which uses a design similar to the MacBook for a much lower price. 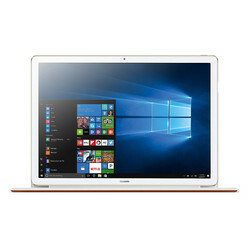 It is once again a compact and inexpensive laptop from China, which offers a good choice of materials and a good build quality considering the price. It also runs completely silent and the SSD can easily be replaced via slot. However, you do not get a USB-C port, the screen is not very good, and you should not use the internal speakers if you like listening to music. The device is currently also available in China, but it is a bargain in return. Except for the somewhat slow processor, the Trekstor Yourbook C11B is a recommendable convertible if you do not need the best performance: The screen resolution is high, and the battery lasts long. The device runs completely silent, the Wi-Fi is quick and the build quality is adequate for this price. 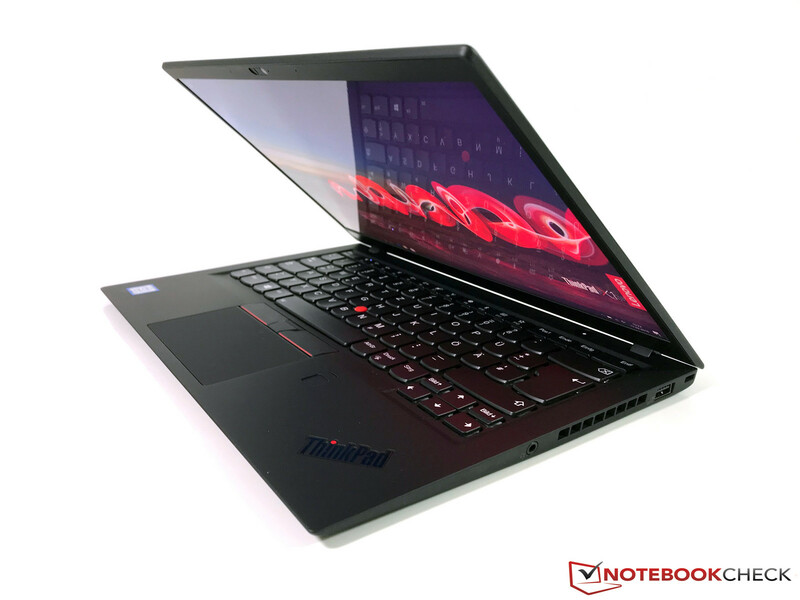 Top 5 notebooks of the last 10 months at the time of writing, order based on NBC subratings "keyboard, display and battery life"
And once again a Lenovo E-series model can be found at the very top of our midrange recommendations. 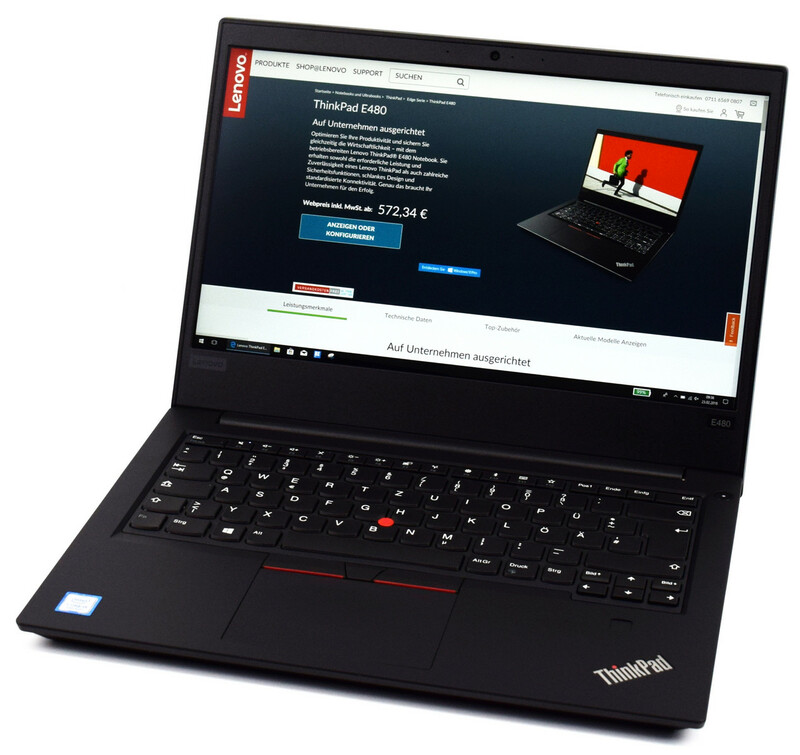 The ThinkPad E480 is Lenovo’s latest member of this entry-level business series and features several enhancements over its predecessor, as well as various ThinkPad benefits. 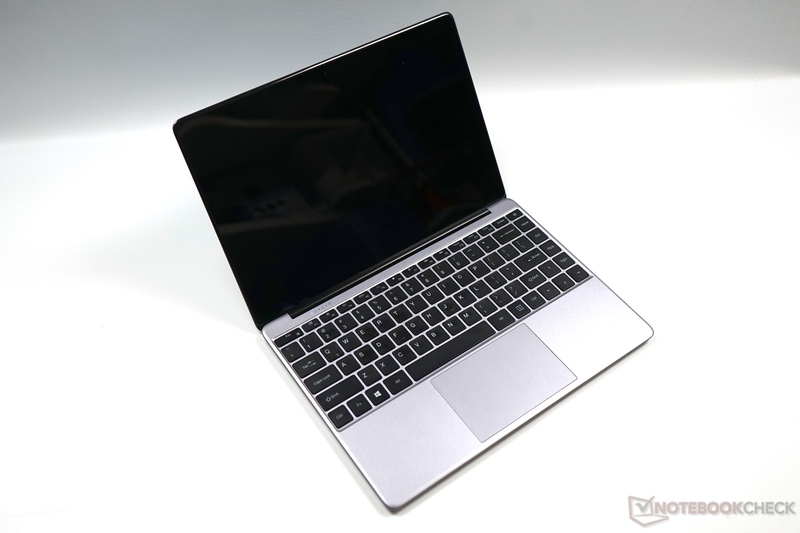 Among others, these include a sturdy case, amazing input devices, and a matte IPS panel. However, we would steer clear of the SKUs equipped with dedicated AMD Radeon GPU as these tend to get incredibly hot under load. The more affordable ThinkPads come with just a few cutbacks – a shorter warranty, a microSD instead of an SD card reader, and a comparatively slow SSD (write performance). 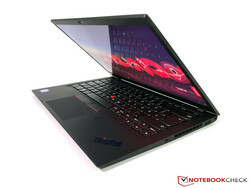 If you do not mind this, then the E480 is a brilliant business notebook for a very good price. The Dell Latitude 5580 is a classical business notebook, which can score points with a decent display, very good input devices, and decent Wi-Fi battery life of above 10 hours. The performance is sufficient for demanding tasks and the temperature remains in the normal range. A matte coating ensures that the display is legible outdoors. Several security features emphasize the business background. Moreover, the device has a good price-performance ratio. Those who are looking for a solid, yet not too expensive companion might find a good choice in the Latitude 5580. 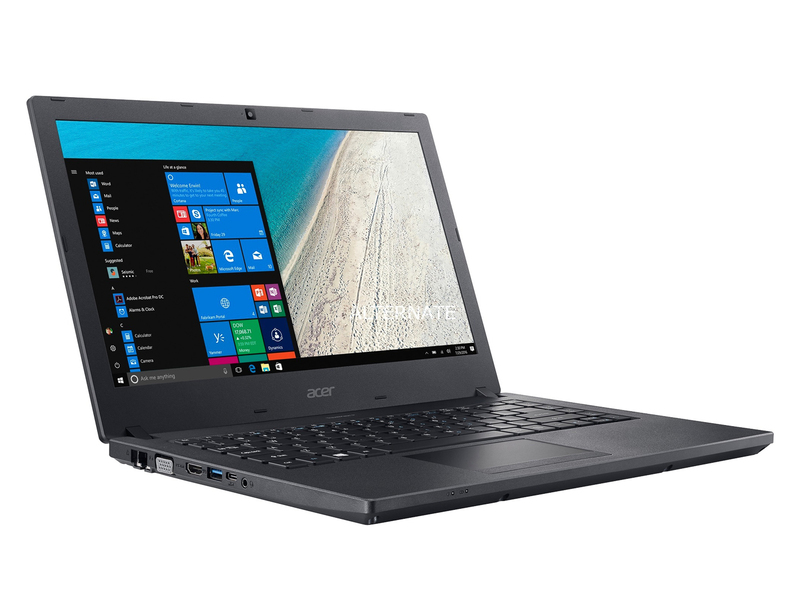 Acer's Swift 3 is a 14 laptop with plenty of performance for all everyday tasks, but gamers are limited to very simple/undemanding titles. 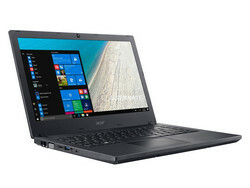 The Core i3 is a fast processor for work and occasional multimedia tasks, the display features the FullHD resolution, the battery runtime is good, and the device is always quiet. 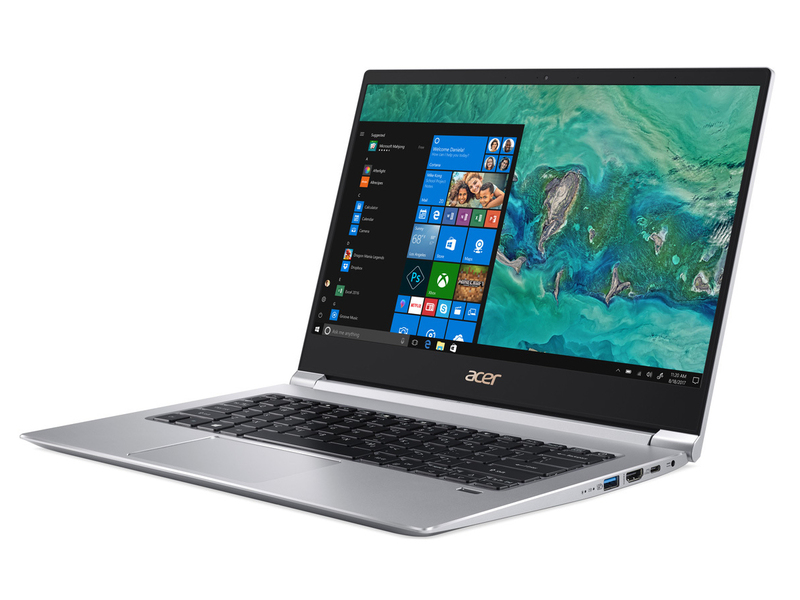 Luminance, limited RAM, and the performance reduction on battery are negative aspects, but Acer still offers a very solid laptop for about 700 Euros. The Lenovo IdeaPad 730S is a very slim and very light notebook, but the stability is still decent. We also like the design, the laptop is quiet and the display manages a good contrast ratio. 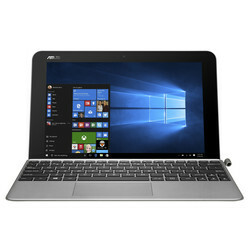 However, the 13.3-inch device is not available in all markets. Is it worth the money? It depends on your requirements, because you should not expect performance miracles and the port selection is limited as well. The upgrade and maintenance options are also very limited. Still, if you want an ultra-portable device with a nice design and long battery runtime, the Lenovo IdeaPad 730S is definitely worth a closer look. First things first: we have had bad luck with our particular TravelMate P2510 review unit. The case was severely twisted and not particularly well-made. We really hope we got a lemon, because apart from the slightly too dark display, the notebook was almost ideal for everyday use in school. 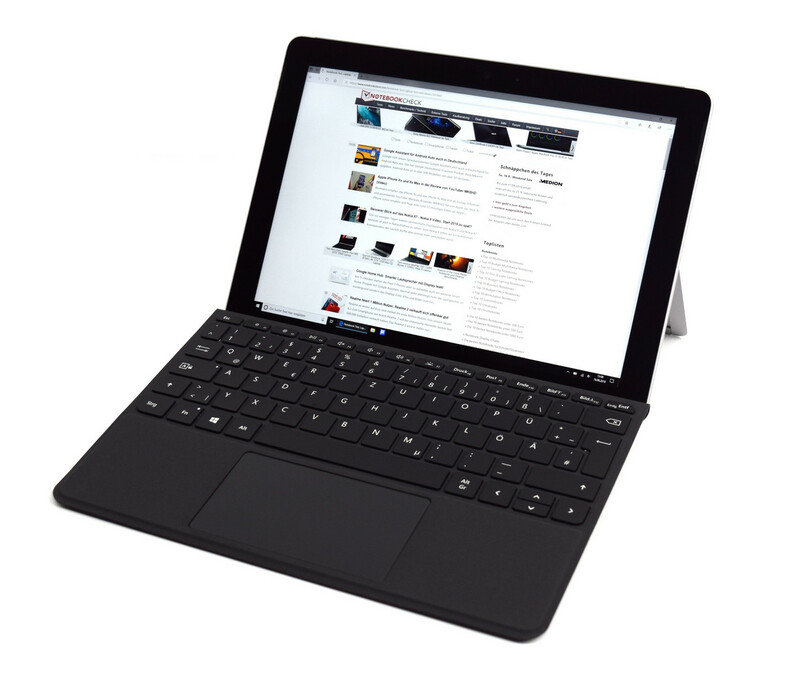 It is quiet and cool, offers long battery life and features decent input devices. And at a price of less than $800 our particular configuration was even somewhat affordable. There are even SKUs cheaper than ours. Top 5 notebooks of the last 10 months at the time of writing, order based on NBC subratings "keyboard, display and battery life". Dell did not really change the design of its slim and successful XPS 15 this year, but the manufacturer improved the internals: Longer battery runtimes, silent operation at light workloads, and the higher performance are just some of the highlights. 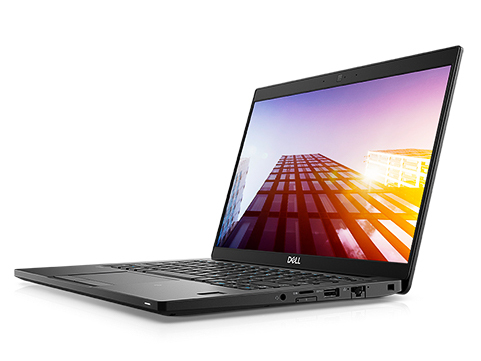 Dell manages to implement a lot of ports into the chassis, which is slimmer than 2 cm and lighter than 2 kg. You also get a good screen with a matte surface as well as decent speakers. There is not much more you could ask for. How about a real workstation on your desk? The Lenovo ThinkPad P52s is a nice option thank to its efficient processor and its – for a workstation – affordable price. You obviously do not get as much CPU performance, but it is still more than sufficient for school tasks. The great input devices, the very sturdy chassis, and a three-year warranty are important advantages of the system. We are not very happy about the low color gamut of the screen, which is particularly annoying if you want to edit some pictures or graphics. Otherwise, the display is excellent for everyday tasks and features a matte screen. The ThinkPad P52s also offers long battery runtimes. Let us take a look at the Latitude's flaws first, because there are quite a few at this point. 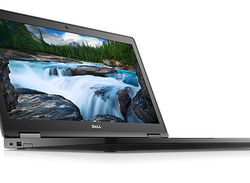 Like the annoyingly clattering space bar on the keyboard – unacceptable for a notebook that costs more than $1,400. Or the non-user-replaceable battery. Or the pretty poor sound system. Or the lack of Thunderbolt 3. What you do get is a great and very well-made case, 3 years of warranty, a great keyboard, and a great display. 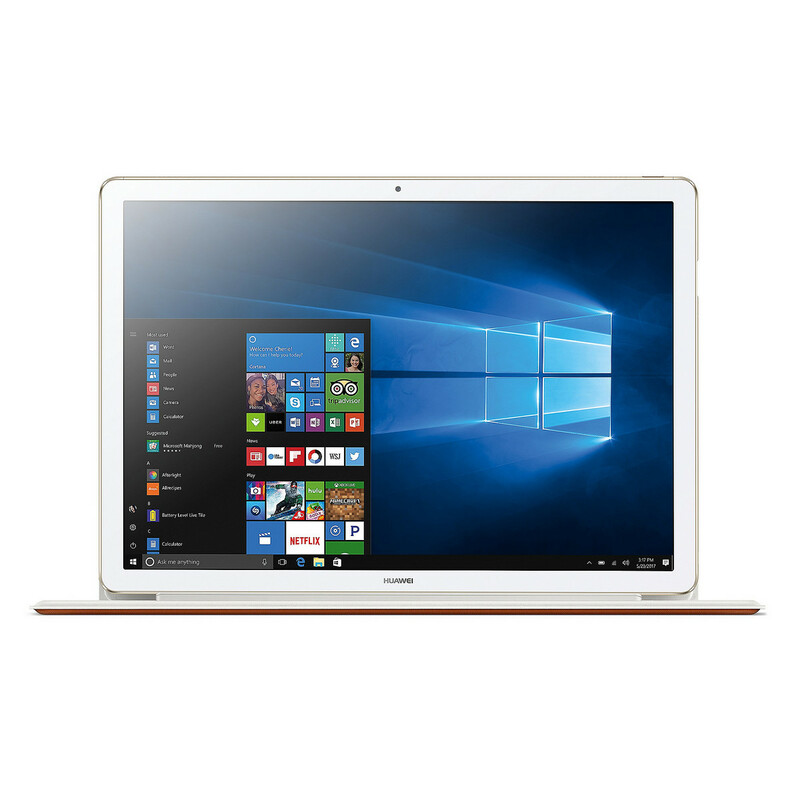 In addition, the level of performance achieved by the Latitude 7390 is very high, and the device thus deserves our full endorsement. The newest Microsoft Surface Pro variant no longer carries a version number but is referred to by year. 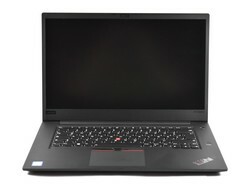 A cheap 2017 variant with Core m processor is available for significantly under 1000 Euros (~$1191). It is a great bundle: high-end build quality and a Wi-Fi battery runtime of above 11 hours convey a great deal. Moreover, its very good display and silent operation are big advantages. The system performance is sufficient for everyday tasks. The glossy display and the lack of a USB-C port are slightly disappointing. Nevertheless, the Surface Pro (2017) is a very good convertible which hardly shows serious weaknesses. Huawei’s notebooks and convertibles are something of a rare specimen in Europe. However, their price-performance-ratio tends to be pretty good quite often. Not so in this particular case, though, but at least the MateBook E's 2-in-1 design is fairly unique. A vintage faux leather cover and a case clad in Gold will certainly find many fans. It was also decently fast and featured a very nice display. Lenovo’s Yoga 720-12IKB is a convertible with a good display, decent input devices, and stylus support. We liked the design, and the device turned out to be very quiet to boot. The disadvantages include short battery life, which should suffice for a normal school day though, and a slow Wi-Fi modem. Other than that, it has a lot to offer for its price of around $800. You get a very flexible companion if you can live with these minor flaws.